I know this year is just about over and it's hard to think about next year already, but, I have had a lot of requests for my editable clip chart calendars, so I decided to create them now and have the extreme satisfaction of crossing something off my l-o-n-g to do list! I used different clip art this year, but the rest of the calendar looks the same. 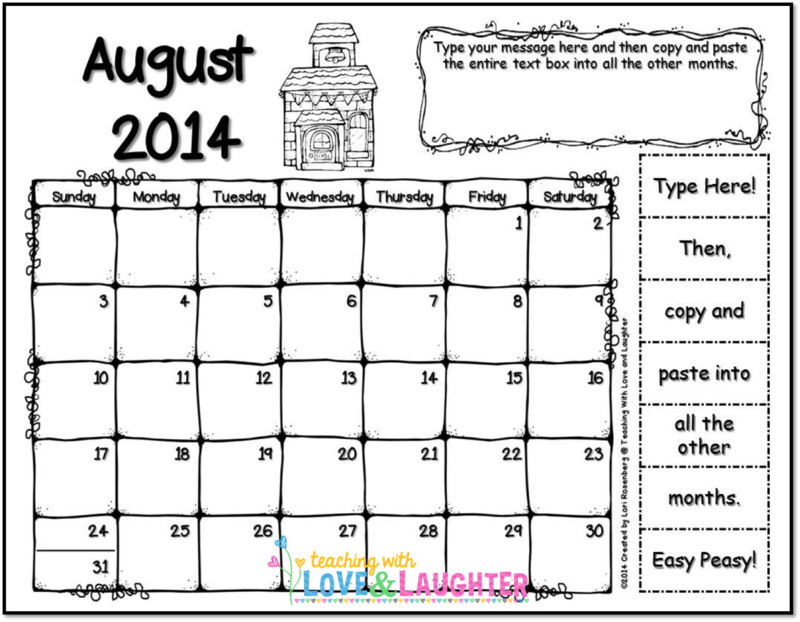 These calendars are editable, so you can change the note at the top and the side labels to fit your needs. Just insert your own text and format the font so it's not the boring Comic Sans font! 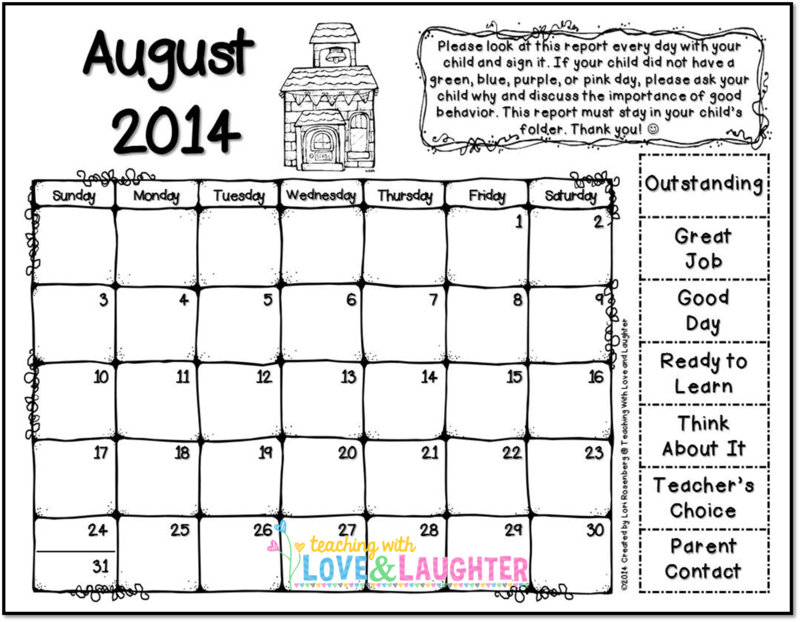 There are calendars for August 2014 through July 2015. For those who don't wish to edit the calendars, I included a set that is already labeled. See the image below to see if this version meets your needs. If so, then you just need to print and copy and that is it! I just added this PDF to the file today, so if you already purchased the calendars, please go back and download the file again. THE CALENDARS FOR THE 2017-2018 SCHOOL YEAR ARE FINISHED! YOU CAN FIND THEM HERE AND HERE! In other news, my first graders are so excited to be my guinea pigs this week! They are trying out my Reading and Language Interactive Notebooks! I am super duper excited about using interactive notebooks. My students will spend the week trying out the different components, giving me feedback along the way. I am creating lots of fun, engaging activities for our weekly lessons, that include activities for sight words, phonics, grammar, reading, etc. These notebooks will be a great addition to the Journeys reading program, but will also benefit any teacher who wants to use interactive notebooks. Are you using interactive notebooks? Do you plan on using them next year? I would love to hear from you about how you feel about using them or what you would like to see in my notebooks. Thank you for your time! I was planning on using interactive notebooks with my 4th graders and then got moved over the summer to 1st and wasn't sure if they could handle it so held off this year. I would love to try it next year (and we use Journeys as well). I'd love to hear more about how you plan on organizing this! As soon as I have this whole thing down pat, I will blog extensively about it. It has been very, very successful so far. I really recommend interactive notebooks! 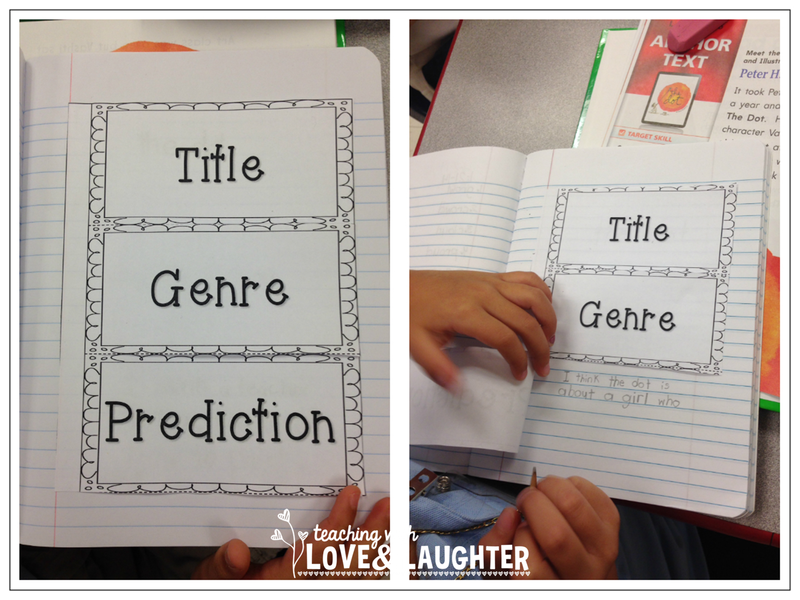 I have done a few interactive notebook activities with my firsties in reading, grammar and math. I would love to see how you're going to work on them along with Journeys! Are you going to publish a unit (or two or three) after your "guinea pigs" have given you feedback? Oh boy! It is going so well that I am definitely going to make interactive notebook pages for every lesson. The children are engaged, excited, and always looking forward to the next page. And I am also having fun! I am completing all the pages with them and I am excited and engaged too! LOL! Thee are beautiful ... and you're right ... it seems waaaaaaay too early to think 2014-2015. WoW ... time is fleeting, eh? Thanks so much Barbara! This year went super duper fast! The notebook looks GREAT Lori! I'm sure they will have fun. I love this kind of learning that involves constructing. I use my interactive notebooks all the time in 2nd and they just think it is so much fun! Thanks so much Shelley! We had a GREAT week trying out the notebooks and I am convinced they are the most awesome learning tool!